The house is located south of the Lot et Garonne bordering the Gers between Agen and Condom, 15 km from Lectoure, in the heart of Gascony. Where to start? Anne & Christophe live in the farmhouse just down the road and were very helpful and accomodating. The house and property is an absolute dream. Our family of 7 (5 kids) were so comfortable we could have stayed forever. Anne is very talented and has restored the property and home to perfection. We loved everything about Gite de Montastruc, especially our hosts and hope to go back soon. This was our second time at Montastruc, we throughly enjoyed our time there. We stayed for a month this time and had family visiting. They were very impressed with the location and house. Thanks to Anne for all her assistance. We were amazed as we drove up to the property, it was better then the pictures and exceeded our expectations. We where there with our adult children and grandchildren, everybody loved the house and the location. Anne was very helpful, she gave us local tips on winery's and restaurants. We really enjoyed our stay at Montastruc. The property is large with lots of space, well equipped and comfortable. Anne was a delightful host. Highly recommended. Upon arriving we couldn't believe our luck. The road to Montastruc is so beautiful... We were there during the summer at the end of July and the beginning of August, when millions of sunflowers are in full bloom.The landscape looks like a fairy tale. When we arrived at the house, it was nothing more than spectacular. The beautiful house is so large & comfortable, oozing history. From the very first minute we truly felt at home. Waking up every morning, looking through the windows and seeing the glowing hills, that's holiday for you! 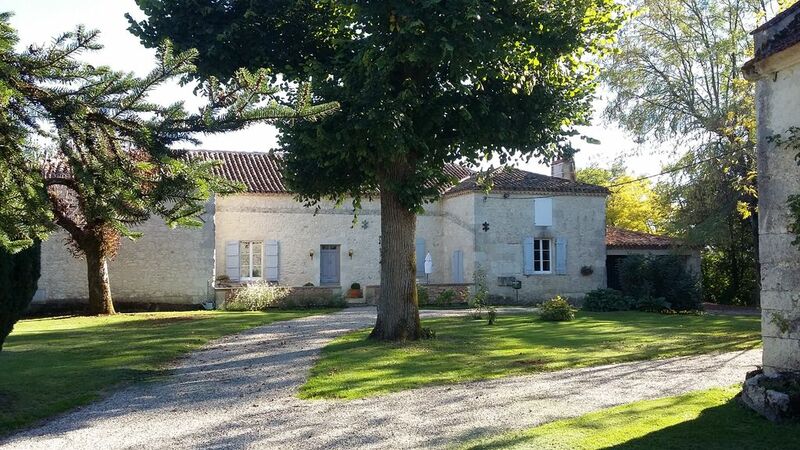 Montastruc is conveniently situated between Bordeaux and Toulouse, both ± 90 minutes away by car. We even drove all the way to Haut-Médoc & Saint-Emilion, the most iconic wine regions in the world. But of course you don't have to drive that far to see beauty: the small villages and towns in the area of Lamontjoie are beautiful as well. We had a wonderful time in Condom, Lamontjoie (the evening market on Thursday!) Agen, Auch en Moirax, where you simply have to go out for dinner: Auberge Le Prieuré (1 michelin star) is a great restaurant, even with a 6 year old girl. We will always look back at our stay with pure joy. Une maison chaleureuse, lumineuse, spacieuse et confortable, où rien ne manque. Anne et Christophe sont des hôtes généreux et prévenants. La région offre un éventail varié d'activités et de visites. À recommander en tout point. The property is located at the foot of the GR 652 (variant of the road to St Jacques de Compostela) that goes up to the Romieu and that starts in Gourdon in the Lot.